This retro wooden keyboard is both a treat for your eyes and your fingers. 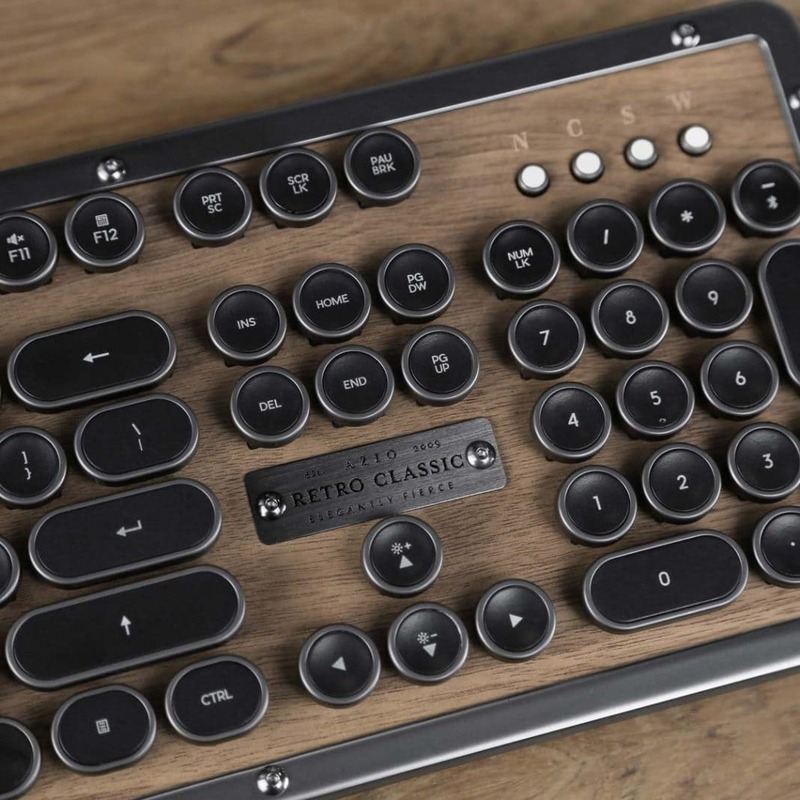 The wooden keyboard evokes nostalgia with its design inspired by retro typewrites – but modern technology ensures full compatibility with your Mac or PC. California-based Azio Corp. is passionate about supporting your greatest work with premium workspace tools. 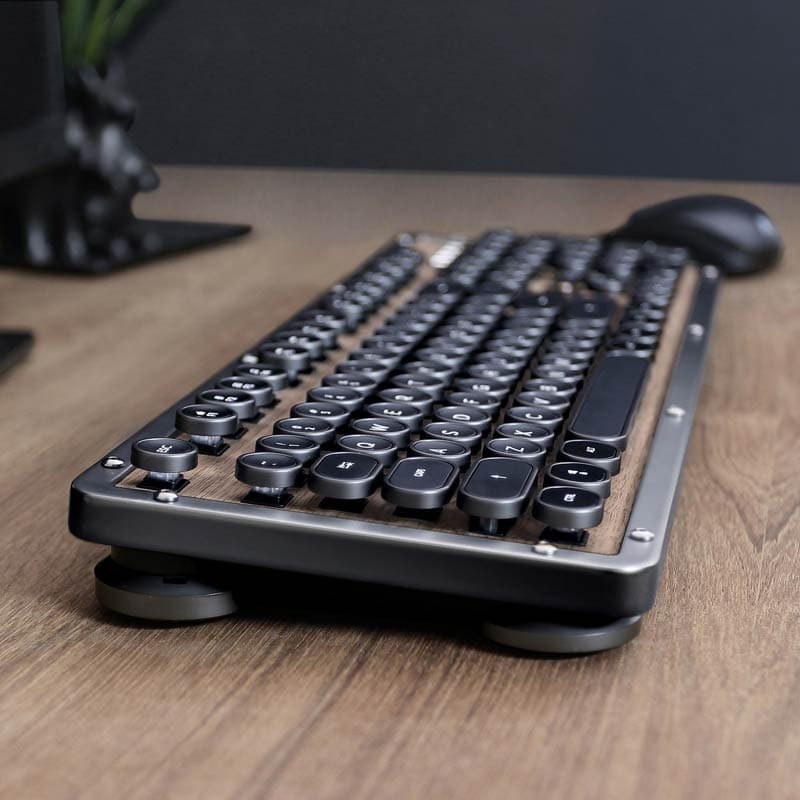 The great look of Retro Classic keyboard will get the attention of any quality-minded retro fan – but the technology on the inside will excite you even more. 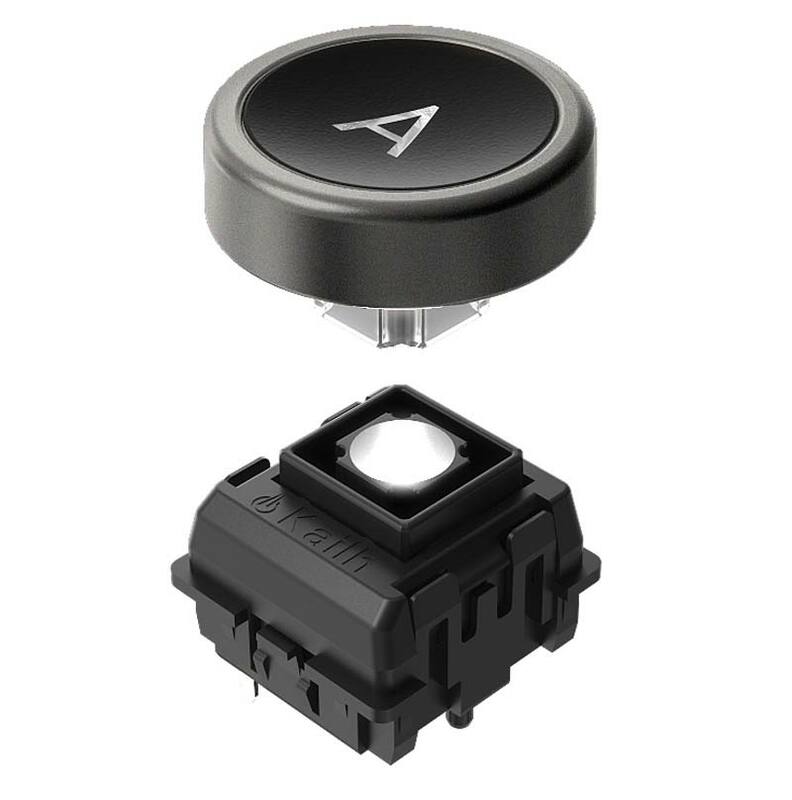 Beneath every key, there are analog mechanical switches that not only deliver a great feel but also register each keypress about halfway down in the keystroke. This will enable you to type lighter, faster and more accurately with a more comfortable feel than average keyboards. The captures are designed to look and feel like a vintage typewriter – but with a modern twist and advanced upgrades. 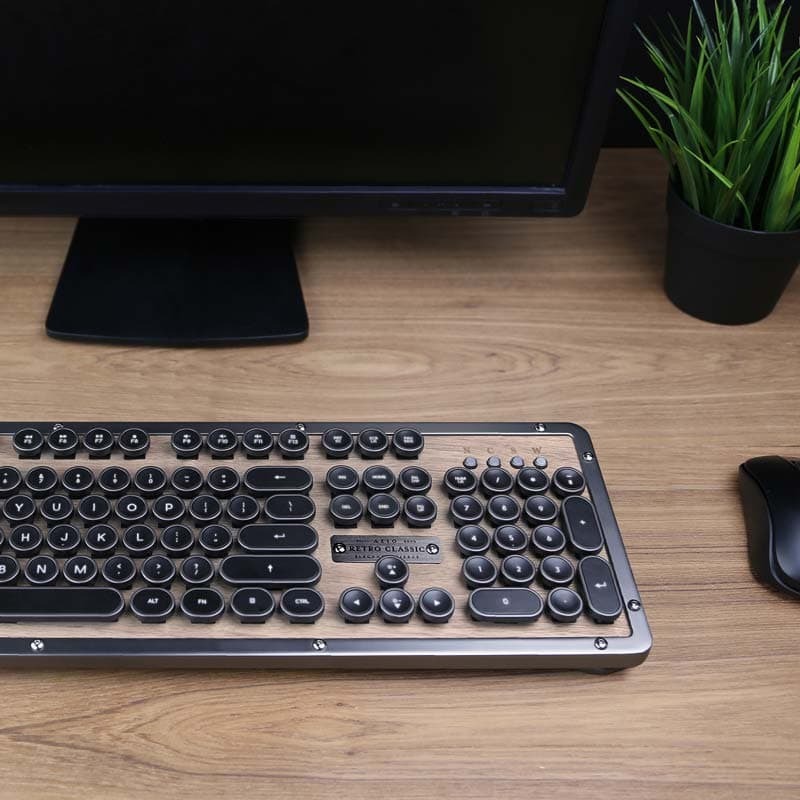 Luxurious materials like leather, wood and metal give you a first-class typing experience and the technical components will give you all the nice features like backlit keyset and USB/BT connection for both Mac and PC. The Retro Classic Bluetooth Keyboard is available in three elegant styles – Artisan, Elwood and Onyx, all with a price tag of $220 USD.